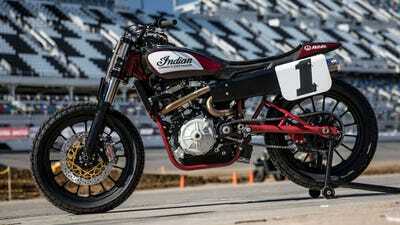 Indian will put a production version of its flat-track-dominating FTR750 on the road in 2019. It will be based on the FTR1200 Custom concept bike the company unveiled last year. 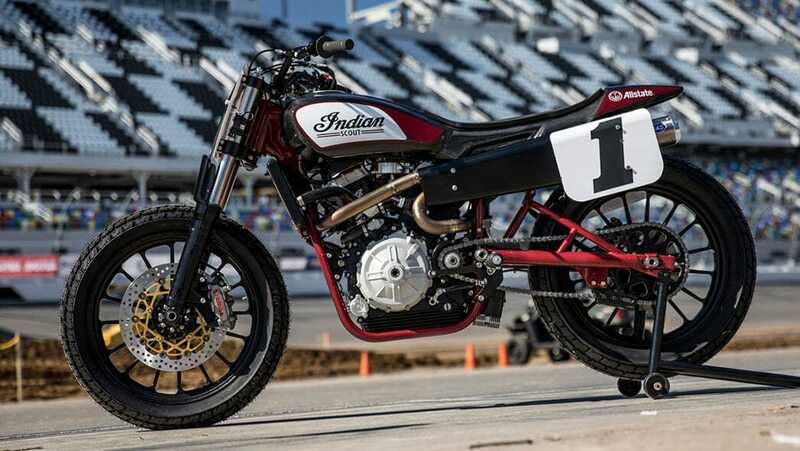 Indian has been laying waste to the insane sport of flat-track motorcycle racing with its Scout FTR750 bike since 2017. Fans wanted a street version, and Indian has made their wishes come true. Based on an FTR1200 Custom concept revealed in Italy in November, a production FTR1200 will arrive in 2019. Indian didn’t provide details on pricing, but the Polaris-owned brand rolled out the FTR1200 Custom with an 1,133-cc motor that could make 100 horsepower. More austere bikes like this have become a bigger deal in the US market since the Ducati Scrambler arrived in 2015. They offer a down-and-dirty alternative to screaming sport bikes and hefty, rumbling Cruisers of the sort that Indian’s historic rival, Harley-Davidson, is known for. Indian is so sure that prospective riders will want to get their hands on the new bike that it’s running a contest to win an early example.